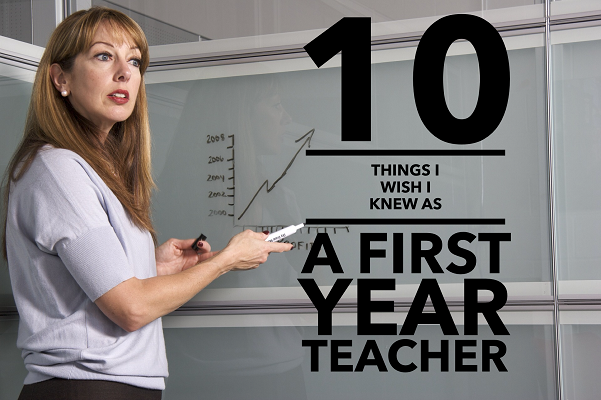 10 Things I Wish I Knew As A First Year Teacher | So You Want To Teach? Pat, over at Successful Teaching, recently tagged me in her blog challenge. She suggested that I write an article about the single most important piece of advice I would give a new teacher. It’s odd that she would write that, as it has been something I’ve been thinking about a lot lately. So much so, in fact, that my list goes beyond one. Each remaining day this month, I plan to elaborate on each of these subjects, but the list for now will suffice. I heard that! Sometimes I wonder if it would have been valuable during my teacher prep to observe, just for 1 class period, a less-than well-managed classroom. Sometimes, it’s valuable to see what NOT to do as well as what “good job!” looks like. Makes you appreciate the decent and in order more if you know what the alternative looks like. (of course, no one would want to be the bad example for observation, so this is not a flawless theory) I’m in my 2nd year of early elementary after being in 4th-6th for 6 years. I feel like I’m both experienced and also just starting, because not all big-kid stuff translates to little-kids. It’s definitely forced me out of my comfort zone. Keep up the good work Joel, you don’t have a clue how large your impact is, because not everyone tells you (nor am I saying they should – it’s just how people are.) Teachers are remembered long after you pass through their class, and I am freshly astonished (and a little frightened) each time I’m forced to realize that fact. Good series, looking forward to reading the rest of the articles! Wow! These are even good to an old had like me. Sometimes I forget about every child. I am resolved to do better, starting on Monday. #1) You can go a long, long way on good classroom organization, when you’re a band teacher, so spend time thinking about procedures and routines that fit your situation and #1B) if the procedures you think will work, don’t–then try new procedures until you find something that solves the problems, rather than punishing kids for not having a pencil in their folder or whatever. #2) Whoever came up with the phrase “don’t smile until Christmas” was a moron. Hi! I’m an Uruguayan EFL teacher finding new ways to encourage students to write. To do so, we have created two blogs where they are starting to post; however,I think they would feel more motivated if they knew people from around the world visit them and read what they have to say. Could you help me? Please, visit their blogs and leave a comment. I’ll appreciate it. Related, I suppose, to #9: Make sure to socialize with non-teachers. Otherwise, you’ll be talking about nothing but school all the time. Thanks for sharing these! I think you were right on target with them. I really enjoyed reading your top 10- maybe every teacher should construct his/her own top ten list after their 1,5,10th year. I bet that would be some interesting reading! I like your, “Make efforts to reach every student.” Increasingly we are encouraged to find success for every student. It’s a matter of finding out their strengths, their learning style, and to provide ways to advance student engagement. @Doug Johnson – Awesome! I’ll include it in a later series! @Paul C – This is my favorite thing about working one-on-one with kids. It helps me get to know each individual much more personally. I find that increasingly difficult when I have a larger group to work with, but I still try to find a few moments to connect directly with one or two of them. Over the past marking period and half, I have numerous issues with behavior in my 7th & 8th grade band class. Yeah, it’s full of rowdy boys and very few girls and it meets right after lunch, a sugar-coated wonderland of talking and chattering among other things. One of things that I learned directly from Joel, the author of this awesome website, is that we can’t blame the kids for everything. Now I know what he meant. I gave my class a quiz on basic fundamentals of music theory and terms today, ya know just to keep them on their toes. It was worth 20 points and covered basic things like the difference between a treble clef and a bass clef, dynamics and performance terms such as crescendo and fermata. more specifically, things that are supposed to be learned in the first year of band. I know because the 7th graders I had last year all did very well on this test and 8th graders didn’t. What came back to me loud and clear through that quiz is that the kids really don’t understand the subject matter. So, why was I getting so angry and uppity about it? Answer: I didn’t give them the information they needed to know. I can’t blame the kids for this, something so basic in a class like this but I can blame their first year band teacher (prior to my existence at this school). My task is set before me and I know what I need to do: go back reteach the basics so we can more forward. I will be apologizing to my students so hopefully we can move on to higher ground soon. I have called the parents to let them know of my findings and tell them of my plan to fix it. their child will be bringing home some homework over the next two weeks as we get everyone on board. I have their full support and we’re getting things in swing so next semester can run smoother and I’m almost positive that the behavior issues will calm down to the point we can actually enjoy class. Next year, I won’t expect them to know everything as soon as they come in the first day. We’ll take some time to review before diving in. 1. NEVER assume your kids know the basics, you might be surprised. 2. It’s not you personally, but it might have been something you overlooked. 3. Sometimes, patience isn’t enough, though it will get you through the tough times. 4. First and foremost: love your students first, then share your knowledge. 5. 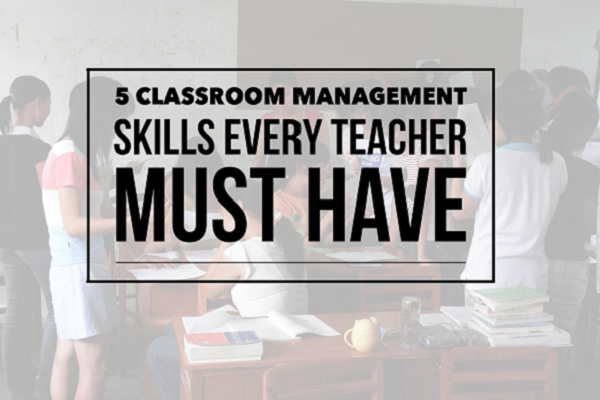 Classroom Procedures should be set up the FIRST WEEK of school, not in the SECOND QUARTER! 6. Sometimes, the money doesn’t even play into it when your students “get it” for the first time. 7. Never think you’re insulting the students’ intelligence when setting up class rules. Sometimes, they are dumber than they look, doesn’t matter how old they are. 8. Everything I needed to know about Middle School students, I learned from my Preschoolers. Whoever invented TIME OUT was a genius! 9. Don’t be afraid to use a method book when trying to teach a new concept, sometimes it does the work for you. 10. If you don’t give yourself some ME time once or twice a week, bitterness will surely ensue. Watch out…. Thanks for commenting on my blog Joel! I do like your lists and all of the comments that come with them. They put it all into perspective for a new music teacher like myself. I’ll visit your Blogs and put up a positive comment or two. I enjoy helping people who help other people. I just finished an ESL/ELL course in my M.A. in Education – Secondary program. Fairly complex dynamic to say the least. Something new I learned this past semester into this semester: Even if you make mistakes that may cause several students to think twice about being in band, don’t give up your dream, go with the flow and meet the current group’s needs. Challenge them in a way that promotes a vitality you couldn’t get with a bigger group. Give the older kids a job that makes them more receptive to the whole program. For instance, I have had problems with one of my 8th grade boys. He has diagnosed ADHD and sometimes can be a hand full. This semester, I discovered he has a talent which do not posses much less can teach: percussion. After speaking with his mom, we came up with a brain storm that turned out to be exactly what he needed: an outlet and an opportunity to share what he knows with some of the beginner percussionists. He now come s in on the Wednesday after school to help train the younger ones in correct sticking and performance. He’s thriving in his own band class now and not giving me any trouble whatsoever. My band program shrunk by 7 between Christmas and New Year’s . I had all these plans with a new syllabus and a strict schedule. When I came to school and found out what happened, at first I was a little upset but then as the first weeks moved on, things started improving greatly for those who were left. The class is now under control and the kids are enjoying our new music especially designed for a diverse group of first and second year players. I’ve discovered through much trial and lots of error that giving music that’s too hard will either challenge them to improve or scare the pants off of them. By giving them music that my elementary groups are learning, the kids seem to be happier even though the arrangements are REALLY easy. I have constantly remind myself of exactly who am I teaching and how long have they really been playing. Now that most of the chaos is gone in my 7th * 8th grade class, I can sit down and actually teach these children basic theory and they can actually ask questions and get real answers. It’s important to find out about your students but get to know them personally so they can trust you as their teacher. It’s so hard with a larger than life class whose talent is beyond measure but whose attitude could use a HUGE adjustment. My Middle school band has gone from 25 to 14 but it’s a good thing for everyone, including their director. I’d much rather have asmaller group that cares than a larger one that doesn’t. Interesting discussion. I have deleted a few comments as things have begun to get out of hand and off topic. Emily, I’m glad things are turning around for you! Hang in there and keep it up. It certainly is great that things turned around for you, Emily. Hopefully, you keep the memories of struggling in the early going fresh in your mind and help a new teacher get through the first year. I was having just this conversation with another teacher this evening. He came to the profession by way of a former career as an IT Specialist and has been teaching for about 5 years now. He teaches 8th Grade History in a pretty rough school … okay, it�s a really rough school with a heavy outflow of students into Level 5 (institutionalized). The biggest hurdle he had to overcome was that as a teacher he “interfaced” with actual flesh and blood Human Beings. As an IT he spent virtually all of his time talking to machines … apparently machines are less prone to hormonal swings, violent outbursts and the like :) He kept a journal for the first year and would take a few minutes before calling it a night to write down his impressions; claimed it helped him unburden himself of the emotional baggage he accumulated over the day. 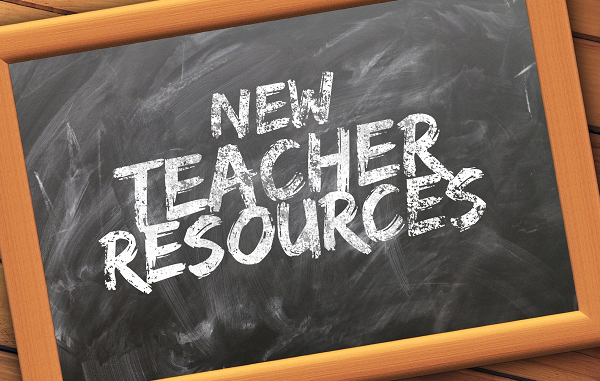 These days, he�s a ready and willing resource for every new teacher that comes through the door and his first year journal is regarded as a �survival manual� of sorts. I�m trying to convince him to Blog. This was such an interesting post for me, as I am a music education student! I commented on one of the other topics about classroom management, and I am wondering if anyone has anything to say about it. I am a little perplexed on how to establish authority and keep it going, while trying to accomplish everything else a music teacher wants to, like igniting passion and interest in students. Any thoughts? Ariel: The key is to establish the classroom control. Only after that can you begin to inspire passion and all that. And even then, it has to be pretty much constant until it becomes second nature for both the kids and you. I think I’ll write some more about this topic soon! It is hard to manage your room , make it fun and interesting while keeping your authority in check. This is an area which I’ve struggled because love having fun with the kids. I found, especially withe older ones that if you tell stories from your personal experiences such as a band trip or something that it really opens another dimensions to them and they can see your passion and understand a little better how it can affect their lives, too. For example: my fifth grade band this year has made leaps and bounds in their journey as band students. They’re sight reading well and just playing for the purpose of playing. And sometimes they get into little groups and just pick out a piece of band music and play. I hear the passion in their playing and most of them, when asked will say that because Mrs. G ,(which is what they call me) gave them the opportunity to hear her band stories and listen to her play and love it then we should too. Of course this only started happening when we left the book and worked on REAL music.Often method books don’t give students that push to become passionate very often. Your passion will shine once you’re in your element. you know what I mean? The students will follow suit because if they like you enough, they want to be like you. Scary, I know but it happened to me when I least expected it. Look, what about the school you're teaching in. I am confused. I completely gave up on a certain class. I have not control. There are 6 kids. They are all different levels. The only thing they are equal is in talking and not doing the expected work becuase they don't want to. It is in the middle of the year so all these things about setting things up at the beginning of the year doesn't help. Good question. You have a few options here. You could give up on them, or you could treat today as a new beginning. I would ask questions and seek out help from other teachers around you. Find one who has experience and a peaceful attitude, and make a list of questions to ask each day. Make it your personal mission to turn your teaching around in the remainder of the school year. I had a horrible first two years. I wrote about it in Why I Hated Teaching During My First Two Years if you're interested in reading some more there.